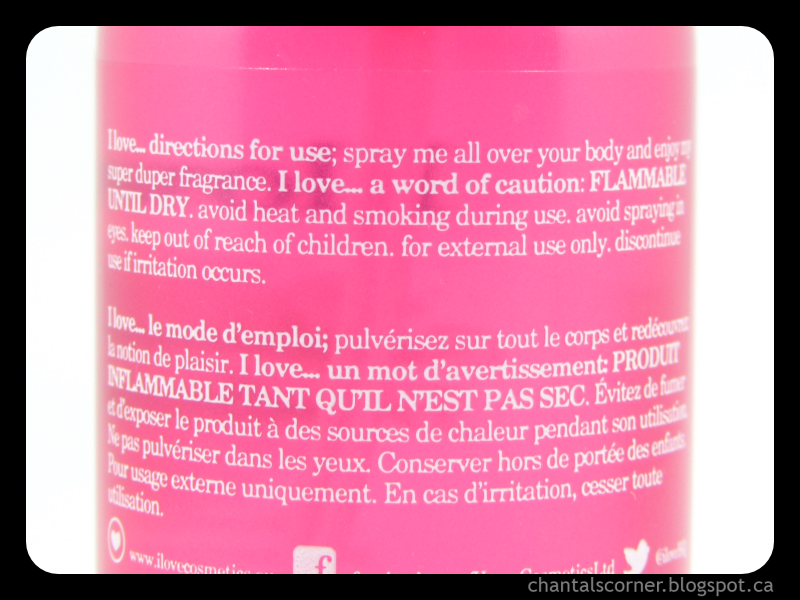 I previously reviewed the I Love… Raspberry & Blackberry bubble bath and shower crème, which smelled amazing, and today I’m sharing with you the refreshing body spritzer with the same scent. I have to agree with the bottle about its super duper fragrance because this body spritzer smells AMAZING! It’s like raspberry and blackberry juice. It’s sweeter than just the fruity scent (like the bubble bath and shower crème), it’s like there’s added sugar in it and it’s just so yummy! The scent lasted a couple of hours on me, which wasn’t that long, but I’m sure if you layered it with the body butter it would last even longer (I don’t have it to try it out though). Since the bottle is small you can always take it with you when you leave the house and reapply throughout the day. You’ll want to cause it just smells that good. 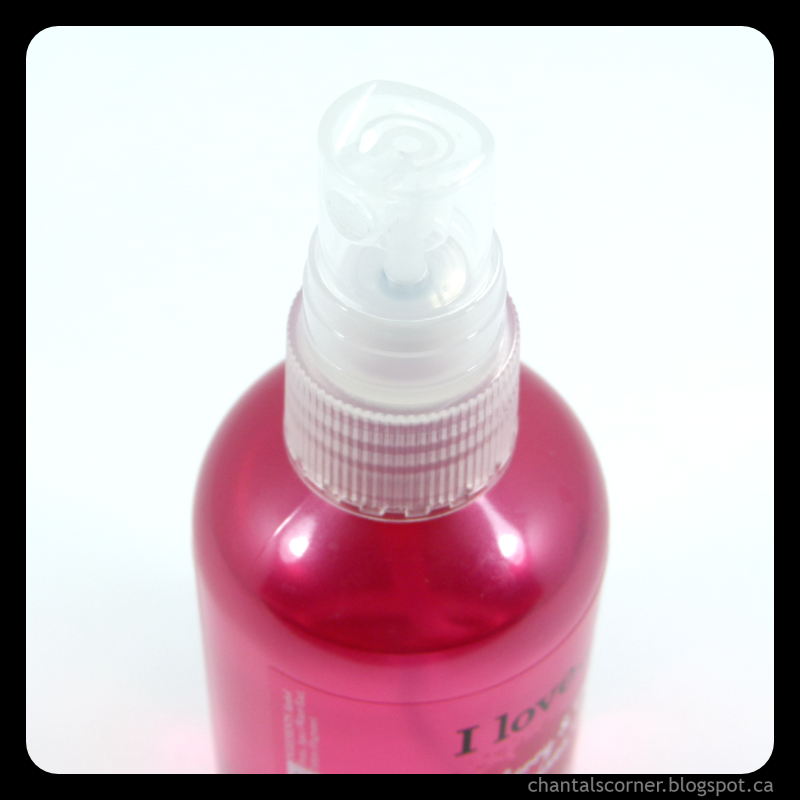 This body spritzer smells oh so good and at $4.99 CAD it’s a steal! It’s available in-store exclusively at Shoppers Drug Mart. Don’t forget to enter my I Love… Giveaway for your chance to win an I Love… product of your choice plus this adorable heart locket. Have you tried any products from I Love…?